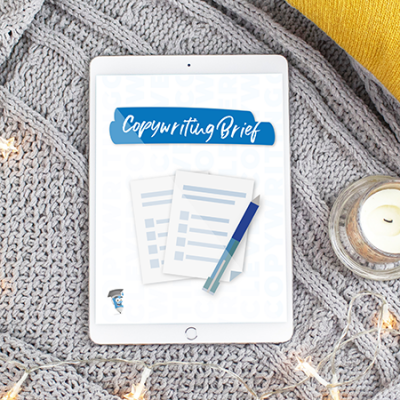 The Clever Copywriting School helps aspiring copywriters build a thriving copywriting business, hone their writing skills, connect with other writers and boost their confidence. We’re also proudly the home of Australia’s premier copywriting conference – CopyCon. It’s the first of it’s kind and brings you hand chosen experts to give you the advice you need right now to run a successful copywriting business. 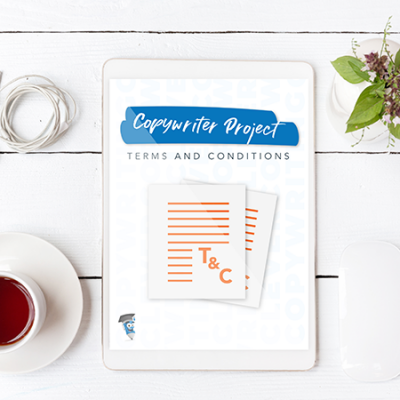 Even if you’re already an established writer, you could polish up rusty skills or learn about new areas of copywriting. It also helps seasoned pros learn a few new tips and techniques. 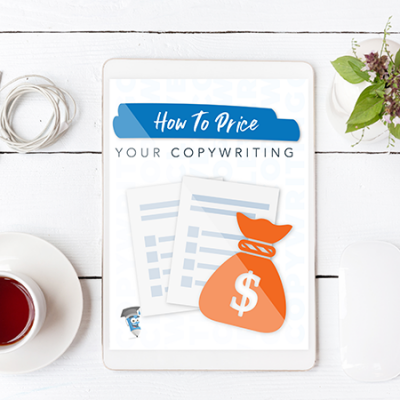 And as we know its tough when you’re starting out, so we try to keep the cost of our copywriting courses as low as possible. Like a lot of people out there, I have always wanted to be a writer and began writing stories and articles as a little kid. In my teens, I wrote music and gif reviews for the local paper, and at university (in Leeds) I studied English lit and worked as Features Editor for the paper, and a presenter on the student radio. I was lucky enough to interview some big-name bands at the time – Blur, Pulp, Radiohead – and I discovered a love for writing snappy engaging articles. It brought me sheer delight to see people reading them around campus. After university, I hoped to study magazine journalism at an exclusive course in London. I got accepted but didn’t have the funds. Student debt (and a lot of partying) had hit me hard. So, I got a real job. First in publishing, then events, then eventually I found my way into the nascent industry of digital marketing – working on website development projects for sites like Marks & Spencer. I moved to Australia in 1999 and scored a job as Executive Digital Producer at Ogilvy – I worked on big brands like Qantas, Telstra, American Express, Pizza Hut and Commonwealth Bank. But I still wasn’t copywriting. So around 2002 I took a 70 percent pay cut to be a copywriter. Finally, I was concepting, writing and sitting on bean bags having ideas. I moved back to the UK in 2003 and took a job writing copy for Microsoft, followed by another writing role at O2. But agency copywriting just doesn’t pay as well as producing so I sold my soul back into product working at advertising.com, on affiliate marketing and…Search Engine Optimisation. Back to Australia in 2005, I had a number of contract roles in Sydney agencies, working my way up to Digital Director at Mercer Bell, and then Executive Producer at the now closed Mass Media. But I still wasn’t copywriting. I’d done a few freelance jobs for brands like Isabella Oliver and Pedigree Chum in my own time, but I was too scared to make the leap into freelance life. I had a lifestyle to maintain! I grew my baby business and my baby simultaneously, and the first year was HARD! But two or three years in, the work was flowing, my rates were increasing, and I had more clients than I could handle. I also worked hard to form communities of copywriters. First on Google+ – the community over competition mantra there served me well, and I’m still pals with all the copywriters from those days. 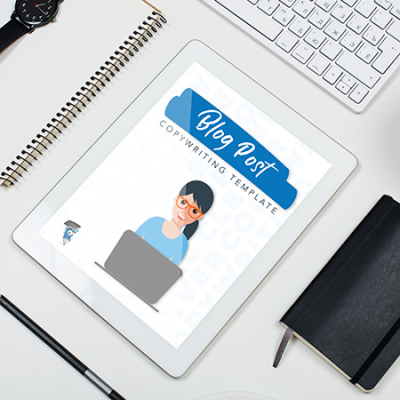 I wrote blogs about the templates and processes I’d developed and soon other writers were asking if they could buy them. So I founded The Clever Copywriting School (TCCS) so other writers could find the support they needed (and the support I wished I’d had when starting out). 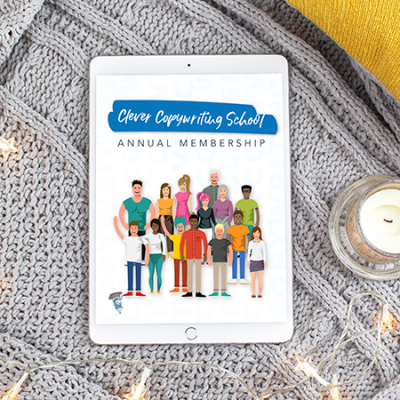 At first just a few simple courses and some templates, TCCS has grown into a global business with nearly 200 community members, countless templates, courses, training and resources. 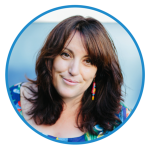 In 2007, I founded CopyCon.com.au – Australia’s first and only dedicated copywriting and content marketing conference. 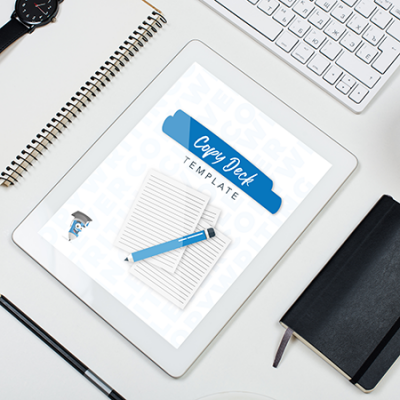 TCCS has helped countless copywriters start and grow their careers, providing much needed support, structure and accountability, as well as job opportunities – we post upwards of 15 copy jobs a week! I’m extremely proud of how this side hustle became my main hustle and I feel a genuine connection to my community members. I might not write much copy myself these days, but I always consider myself first and foremost a copywriter. #IIsCOPYWRITER! 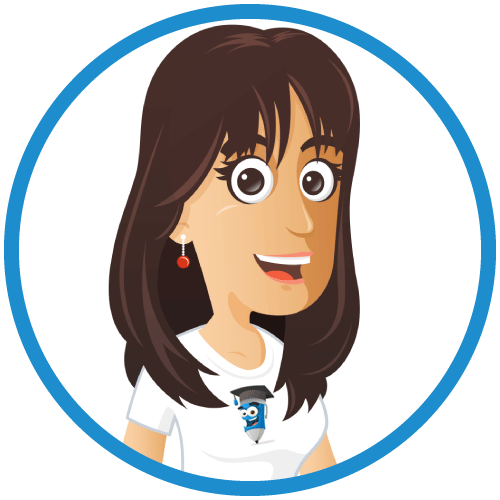 Find a copywriter or advertise your services to copywriters.